Search Results for "the beatitudes"
In this podcast series, Bible scholar Barry Huff and former Christian Science lecturer Susie (Rynerson) Jostyn take a closer look at the Beatitudes, exploring their biblical roots and practical healing applications. Part 1 of a 9 part series. The Beatitudes podcast series Bible scholar Barry Huff and former Christian Science lecturer Susie (Rynerson) Jostyn take a closer look at the Beatitudes. MORE The Beatitudes in song The Beatitudes set to music and sung by Ben Vaughan and Ashton Glass MORE. 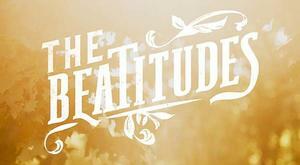 Original songs based on the Beatitudes, composed and performed by Ben Vaughan and Ashton Glass. Bible scholar Barry Huff and former Christian Science lecturer Susie (Rynerson) Jostyn discuss the spiritual basis for being a peacemaker. Part 8 of 9 of the Beatitudes audio series. In this podcast series, Bible scholar Barry Huff and Susie (Rynerson) Jostyn take a closer look at the Beatitudes, exploring their biblical roots and practical healing applications. Bible scholar Barry Huff and former Christian Science lecturer Susie (Rynerson) Jostyn explore the biblical roots and practical healing application of the beatitude "Blessed are the poor in spirit: for theirs is the kingdom of heaven." Part 2 of 9 of the Beatitudes audio series.